Panko tilapia…sounds delicious right? 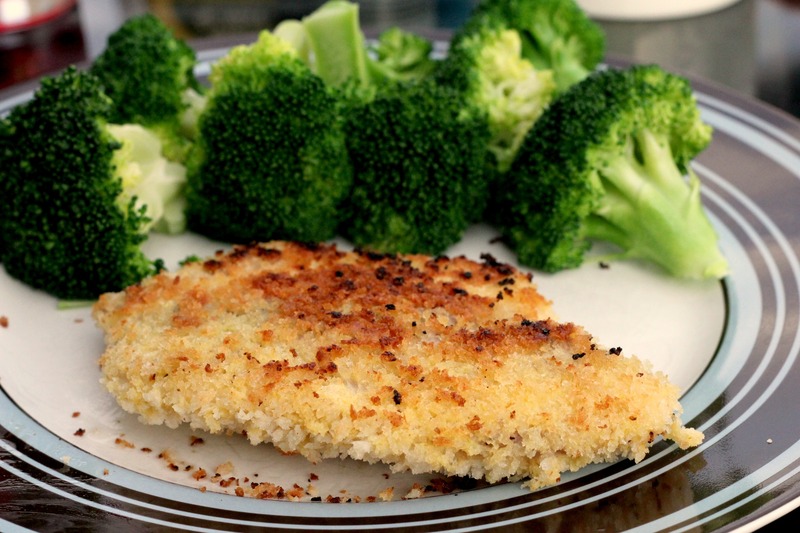 Crispy panko crumbs on flaky tilapia…what could go wrong? The picture still looks pretty good, right? Well, let’s just say that this was definitely not my finest hour in the kitchen. I’ll share the recipe with you, as well as my thoughts on what went wrong and how it could be improved. OK so first of all, I love cooking with panko. It’s so easy and always gives a delicious crunchiness to any dish. However, I think in every capacity I’ve ever used it, it’s been baked. This particular recipe says to cook it in a skillet. I was skeptical how that would work without burning the panko crumbs on the outside. Apparently my skepticism was warranted because that’s exactly what happened. The picture above is the least burnt of the 4 fillets. So I would definitely go with baking it next time. Also, this fish was completely flavorless. I mean completely. It was like eating crunchy air. Obviously, this fish needs some additional spices, like seasoned salt, or maybe some basil and oregano, or even some creole seasoning. Anything would be an improvement! I tried spritzing some lemon juice on top which definitely helped. I’ll post the recipe just as I did it so you can have a base idea for it. If you want to try and liven this dish up and come up with some ideas to take it from bland to bangin’, let me know what you suggest! Combine flour & lemon pepper in a shallow dish, egg sub in a 2nd dish, and panko crumbs in a 3rd dish. Dredge fillets into flour mix, then into egg sub & then into panko crumbs. In a medium skillet, heat oil; add fillets & cook 3 min. Turn fillets & cook 3 min more or until flakey. Looks delicious Lindsay! I like the fat free egg substitute within the recipe! Oh I love using egg substitute in place of real eggs! It tastes the same (especially when used for breading meats) and is so much better for you! I always use a pinch of ready-made Tandoori spice or Cajun seasoning with the first (or only) layer of panko, depending on the recipe and what it’s accompanying. Coursely ground black pepper and salt does the trick too! That would definitely have given it some more intense flavor! I like Cajun seasoning and also Old Bay for something less spicy. Thanks for the recipe. I’m trying with panko tonight. Whenever I make tilapia the way I always punch the flavor is a marinade. I use several, but the best one to not overwhelm this fish is a mixture of lemon or lime juice, red wine vinegar, garlic and some cilantro. Marinade for at least an hour, not more than 2 or you’re on your way to making ceviche! Thanks for the tip Jeaux! That does sound like a good go-to marinade.